Have you ever seen someone join an organization and attend one meeting and then never return? It was likely that their first impression of the group was a poor or negative encounter. It is crucial that every first impression of the Grange is a positive experience for every new and potential member. Every member needs to make it their job to greet and welcome anyone who comes through the doors of your Grange. A friendly attitude that makes a person feel at home is crucial to making a great first impression. Smile, laugh, enjoy yourself and make sure the new person is a part of the action. Be sure to make the obligation or degrees a quality and impressive performance. Do it with pride and let the new member know you enjoy doing it for them. After all, they are worth doing it well for. Find out what the new member wants, or likes, to do and give them opportunities to get involved in your Grange as quickly as they want to. 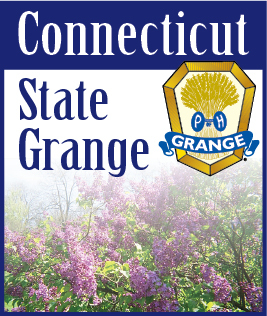 Make them a part of your Grange family from the first day. Fill the needs of your new Grange members and give them a great first impression and watch the impossible happen!